Manchester United are ready to make a move for Argentine star Paulo Dybala, according to the Mirror. 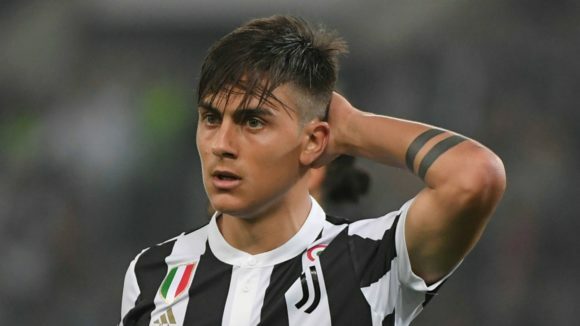 Dybala is one the biggest prospects in Europe right now with several clubs looking to sign him, but it seems the Red Devils will be at the front of the queue should he leave Juventus. The Argentinean international is valued at €110m by transfermarkt, a price tag that could easily be met by Manchester United who would hope to provide a solution to the crisis at Old Trafford. The Premier League giants have been keeping tabs on the Argentine striker for a while now according to reports, and the arrival of Cristiano Ronaldo has seemed to unsettle Dybala who could now leave Juventus. The 24-year-old joined Juve in 2015 and has since scored a whopping 54 goals in 109 League appearances, numbers which have led to him being compared to both Messi and Ronaldo. Manchester United are having a terrible campaign in the Premier League so far. The Red Devils sit 8th in the table and are already 12 points behind league leaders Manchester City. They now need someone influential to wave the magic wand in the centre of the park, someone to pick out the delicate, intricate pass that will cut through defences. United have lacked fluidity for the best part of this season, something a player of Dybala’s standing will surely provide. As witnessed at the Old Lady, the Argentine’s first move is to engage his teammates, creating space and sending the right pass across at the right time. Dybala’s biggest strength lies in his ability to understand, interpret and take action as the game unfolds before him, this makes him very difficult to mark plus he is a very hard-working player, someone Mourinho would like. Taking him away from Juventus might prove a bit difficult however, United will need to convince the player of the need to relocate to see a move go through. While some might claim Dybala lacks the physicality to succeed as an attacker in the English Premier League, just check out David Silva and how he sets the league alight week in week out, and if there is even a glimmer of a chance to sign Dybala, then Mourinho should not let go of the opportunity.